You’ve probably seen messages all over the internet, newspaper, etc. telling you to shop local. But few of them explain why you should. Sure, it’s nice to say your support to us as local small business owners, but we owe it to our current and prospective clients to explain why it benefits everybody. The last thing any community wants to see is boarded-up windows and ‘Closed’ signs on the door. It creates a negative feeling and can be contagious in certain areas. Before you know it, a whole block is lost and people start moving out of that area. Supporting those businesses keeps the community thriving and alive with energy. A positive effect that spreads throughout the neighbourhood and makes it an even better place to live, work and shop! The most important part of any successful small business is its people. Our staff is like our family and we appreciate them just the same. When businesses grow and flourish then they must hire more employees. This helps to keep the workforce health and unemployment rates stable. Local businesses need to advertise, order supplies, and many other things to run their shop. When you spend money at a local store, that money is circulated right back into the community. Local shops love to support each other and grow their community, because in the end it supports everyone! When you come to Arnold Hearing Centres, you can feel good knowing we practice all of the above. We support our community by being involved in many local events. In Kitchener we work with various community centres, the Canadian Council on Rehabilitation and Work, as well as set up exhibits at events like the Living Well Expo and Quality Living Show to offer education and support. In Guelph we participated at the Retire in Style Show and the Taste of Guelph. We’ve also been a part of the Mt. Forest Fireworks, the Mt. Forest Leisure Show as well we have been an exhibitor at the Simcoe Wellness Fair. Our staff are all local from Kitchener, Guelph, Mt. Forest, Simcoe and Brantford. Finally, we invest in our local economy as much as we can! We use local small businesses for things like digital advertising, print items, catering events, and more! Its important for us to support other local small businesses as we know first hand the love and commitment that is put into their business. 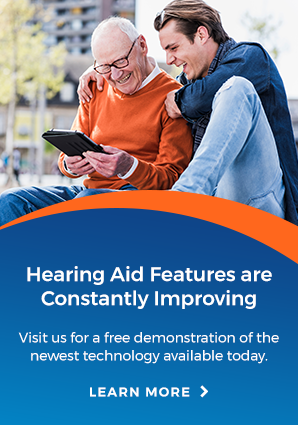 A big thank you for supporting us for over 67 years, we look forward to being your local hearing experts for years to come!